Just as you thought you were getting ahead in this life, there's a whole new world for you to master. It's called Second Life, and it's a completely virtual world that is creating real opportunities to connect with consumers and make real money. Lots of big-name marketers have launched their virtual presence in SL, including Dell, Toyota, Gap and Reuters. The city of Manchester created a virtual version of itself. Starwood even gave SL residents an exclusive preview of their Aloft chain last fall. And considering that the average Second Lifer is a 32 year-old woman, creating a virtual parallel of your community may be an interesting way for you to set your property apart back in the real world (some studies show the typical renter is a 35 year-old female). 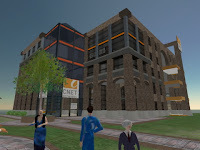 If the big hit in property marketing in 2006 was full-animation 3D rendering and virtual tours, then imagine the possibilities if your prospective buyers can virtually put themselves in the middle of your community anytime they want. 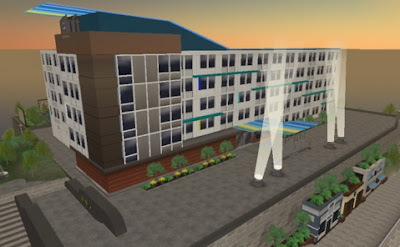 Granted, the total population in Second Life is currently only about 4 million people, but the press opportunity for creating the first condo in your area on SL could be huge. You can even sell the land you develop if you want... just like the real world.